Over the years it’s become fairly common to have two refrigerators in your home. Having a specific beverage cooler frees up some much needed real estate in your primary refrigerator. 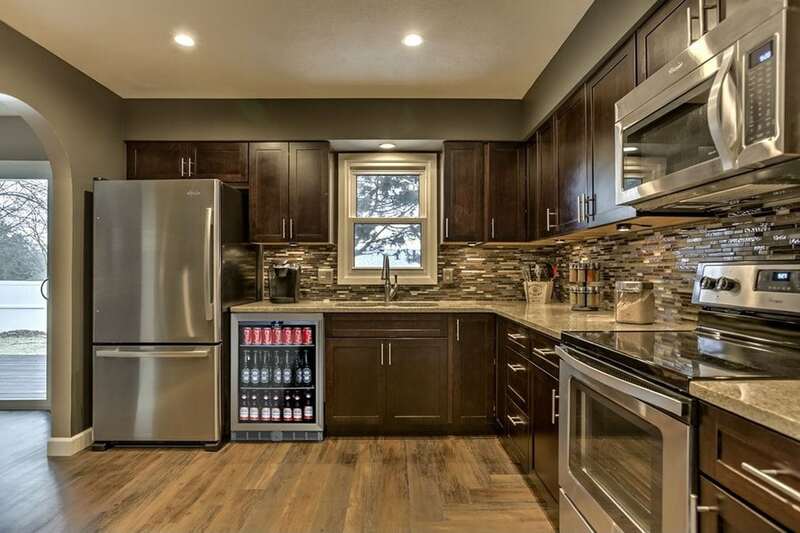 The KingsBottle under counter beverage cooler lets you keep your drinks in the kitchen saving you from running up and down the stairs for beverages when you are entertaining guests. The glass door is fitted with 304 Stainless Steel trim and the polished Stainless Steel interior keeps your kitchen looking clean and modern. The beverage cooler is even equipped with a lock for those times you need to keep the contents away from children. 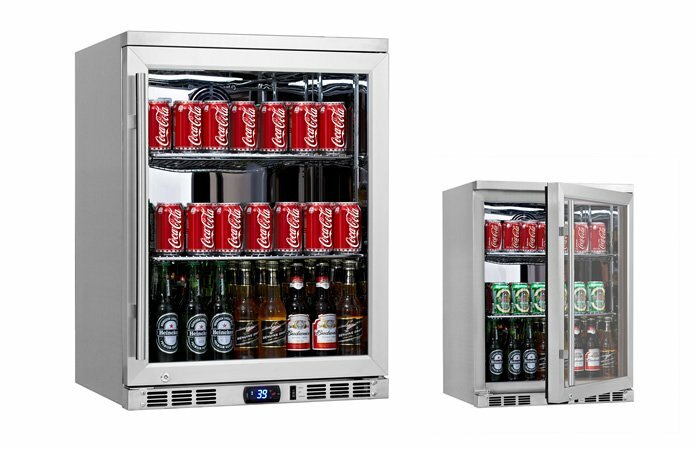 The 1 door Under the Counter Beverage Cooler with heating glass KBU-55C-SS features an adjustable temperature range of 34-46°F (1-8°C ) and runs at a volume level of less than 40 dB. 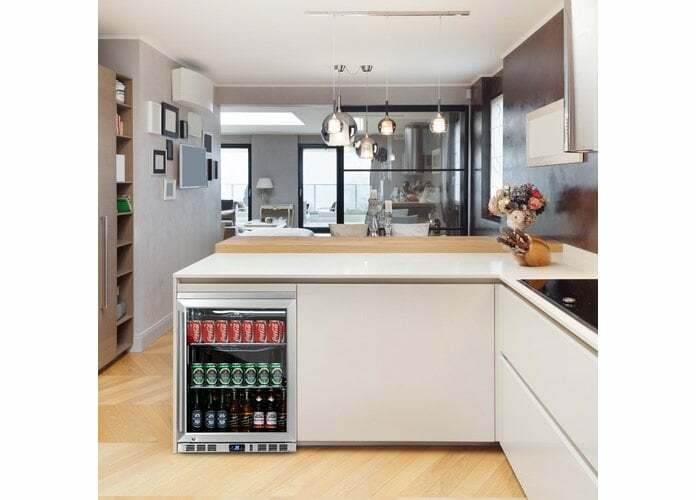 A 140 can or 53 bottle capacity gives you ample space for you and your whole family. A Digital Thermostatic Control allows you to easily adjust the cooling temperature and keep enough beverages cool enough to entertain a small gathering. The KBU-55C-SS unit also features heated glass that you can turn on or off as well as bright white LED lighting which you can also toggle off if necessary. Two chromed steel shelves that can be adjusted allow the unit to store both cans and bottles together. 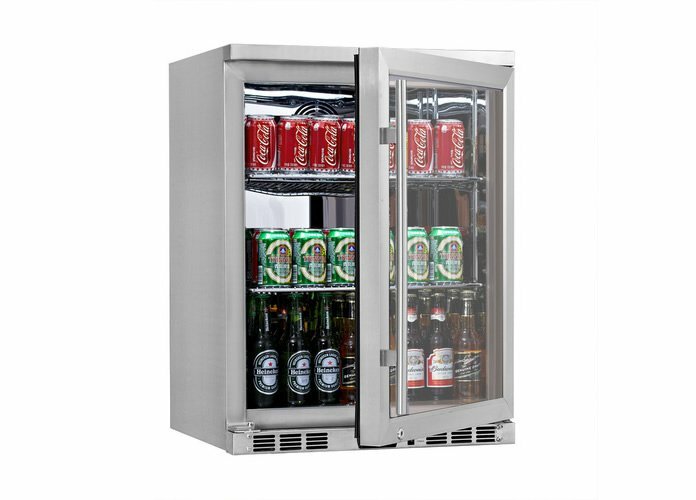 A front firing exhaust and vibration free compressor keeps the KingsBottle Beverage Cooler system performing smoothly and quietly. The KingsBottle KBU-55C-SS is a welcome addition to any modern kitchen. The extra fridge is great for the bachelor to entertain as well as the family man. The beverage cooler installs out of the way under your counter top for clutter free experience and frees up your refrigerator for more food. The KBU-55C-SS is durable, looks great and it’s made to run quietly.